6 Reasons Everyone Should Try Pilates. When it comes to Pilates, most are either die-hard enthusiasts or have never stepped foot in a Pilates studio. Are you in the latter group? Tons of research on the benefits of Pilates would suggest you switch camps. Check out the uniquely awesome power of Pilates. It will seriously strengthen that core! Your strength powerhouse. That translates to great abs which is something we all want. According to a Medicine & Science in Sports & Exercise study, after completing 36 weeks of Pilates training, women strengthened their rectus abdominis (the muscle responsible for six-packs) by an average of 21 percent, while eliminating muscle imbalances between the right and left sides of their cores. We like that Science. It has been proven to help with back pain, a common complaint of many - particularly those who work at a desk. Slow, controlled movements mean there is less pressure on your joints. There are so many people who really struggle with high impact exercise, such as running, due to joint pain. Pilates allows you to get an effective workout while removing the pressure from your back, knees etc. You will stay focused. Pilates urges you to focus on 1) your breath, 2) your body, and 3) how they move together. It takes a lot of concentration, which means you're forced to forget about work, bills, and other drama for a full hour. Very zen. It Improves Your Sports Performance! You might be someone who prefers weight training, or another form of exercise, but that definitely doesn't mean that Pilates won't be of as much benefit to you. Strengthening your core muscles will quite literally improve any other training you're doing. With a stronger core, you can run faster and overall, the rest of your workouts improve. Improved flexibility! People often complain that they're "just not flexible" but it doesn't have to stay that way! If you're not working on your flexibility, you're limiting your range of motion. 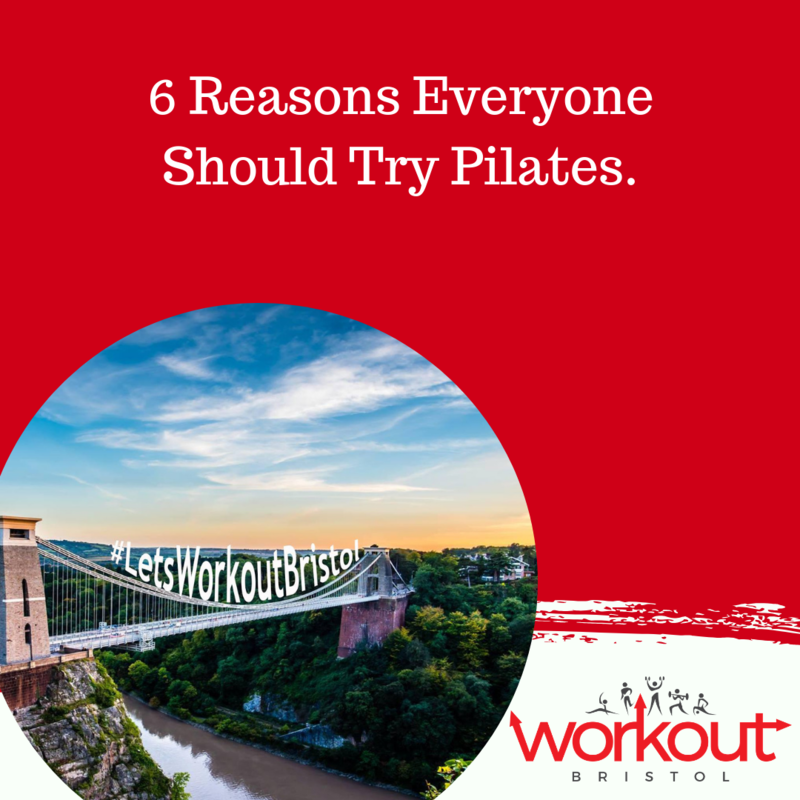 We have over 5 Pilates classes per week, and an extra 5+ Body Balance classes at our Harbourside gym. So book onto a class and see for yourself the benefits of Pilates! It won't cost you a thing!